Turn the sock inside out. 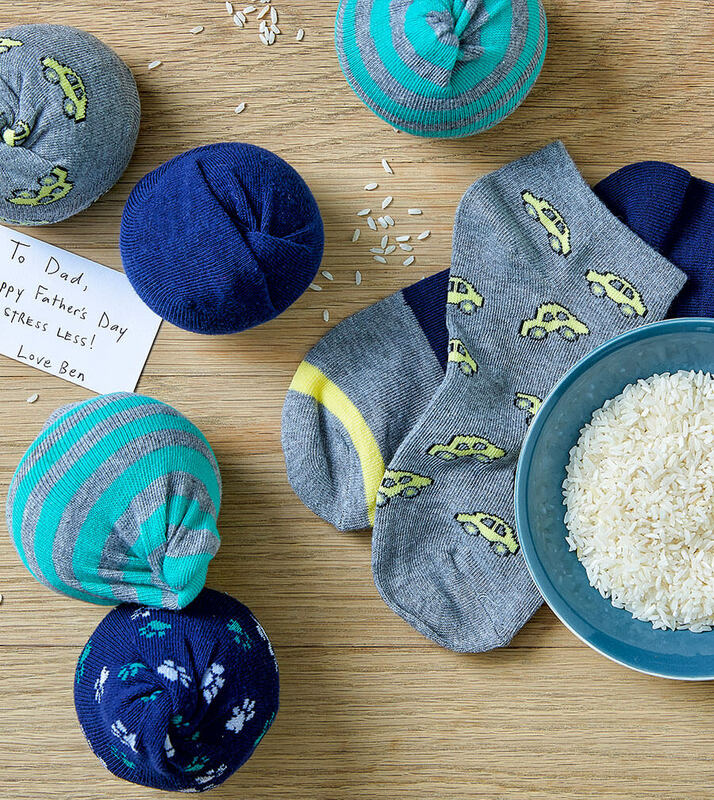 Pour about 1/2 to 1 cup of rice into the sock. You may need more or less depending on the size of the sock, and how big you want the stress ball to be. Secure close with the elastic band. There should be enough material left at the to fold over the entire ball. All done! Now you’re ready for father’s day!